ONEC1TY | Pastaria Hosts Another Sold Out Event! Pastaria Nashville Owner and Executive Chef, Gerard Craft hosted Nashville’s third local Pop-Up event Tuesday, August 2nd at oneC1TY. 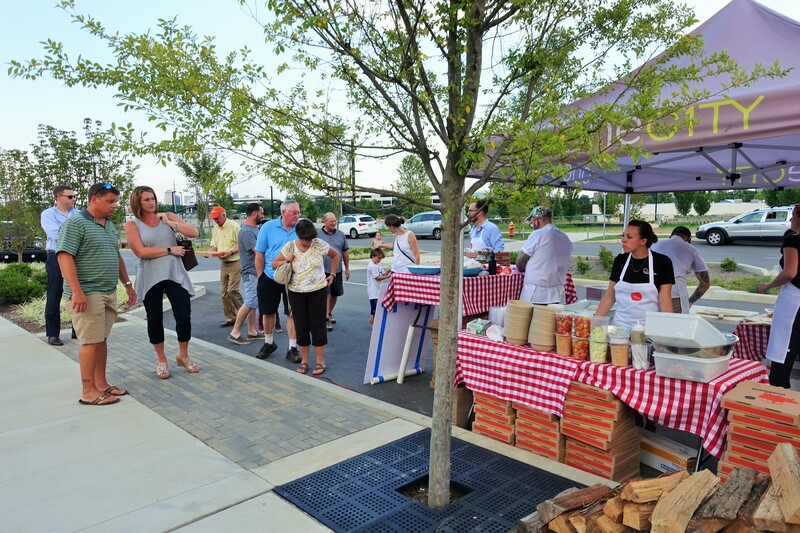 Over 200 people filled oneC1TY’s C1TYBLOX for the opportunity to taste Pastaria Nashville’s home-made, wood-fired pizzas before their Nashville debut. The event was the third pop-up in a series of pre-opening tastings. The menu featured three of Pastaria’s favorite wood-fired pizzas made fresh in Craft’s 8,000-pound mobile pizza oven, as well as gelato created by Pastaria Executive Pastry Chef, Mathew Rice. Neighboring restaurant Avo supplied specialty cocktails, beer and wine for guests to sip on while enjoying the outdoor event. Pastaria Nashville will be the second location for the James Beard-winning chef’s casual Italian concept. The restaurant will be adjacent to C1TYBLOX; located on the ground floor of 8 C1TY Blvd. and will feature outdoor seating overlooking oneC1TY’s Community Table, Yard and Watershed. Nashville’s newest and most exciting dining experience is scheduled to open in fall 2016.